José Luiz Ribeiro Filho, director of services and solutions for RNP, the Brazilian national research and education network. Image courtesy RNP. RNP, the Brazilian national research and education network (NREN), plans, designs, deploys, and operates a nationwide networking infrastructure under a contract with the Ministry of Science, Technology and Innovation. Its objectives include connecting universities, research institutes, hospitals, museums, and many other public research and education institutions through its network infrastructure. RNP provides connection for more than 800 points, for around 350 public institutions (universities and research institutes), through an advanced multi-gigabit national backbone, and more than 35 optical metropolitan area networks. RNP also offers advanced services on top of this network, potentially benefiting more than 3.5 million users. Partnerships with research institutions, business, and other world-leading NRENs are central to advancing RNP's network and offering new services and products. To keep up with growing demand from its network of users, RNP has turned to a hybrid, community, federated cloud to supply its services. The hybrid model allows RNP to act as a public contract broker for low-risk services, such as student email, document sharing, etc. Through the community model, universities and research institutes can offer their own data center infrastructure — either fully or partially — to the national cloud. In addition, RNP is currently working to compare public and commercial cloud services, business models, pricing, and contract clauses, in order to start a pilot program that will assess the broker role planned for the hybrid model. What conditions are required to create a hybrid cloud model where commercial (private) and public cloud providers can both benefit and play a role in a cloud-based market of services? My answer refers only to our local market since we have a quite distinct situation here. RNP operates the services offered to the academic community under a contract with the Ministry of Science, Technology and Innovation, the Ministy of Heath, and the Ministry of Culture. A new law from the Brazilian federal government defines the rules for how public institutions, such as public universities and research institutes, can contract IT services. The cloud providers are willing to adapt their business models in order to offer services in compliance with this law, and some of them see RNP as a strategic partner to accomplish this goal. On the other side of this are the IT managers from universities. They are looking at this model (hybrid, community, federated) as an opportunity to optimize their infrastructure, technical resources, and investments. At the same time, the reliability and security of their local services increases. In addition, RNP's cloud will provide them with nationwide services. The model also considers the use of private co-location and hosting facilities, not only the cloud services. This way a private provider can start with data center services and, as needed, take over the administration of our cloud platforms or adapt theirs to our specifications. The community aspect of RNP's cloud computing strategy entails a model in which universities and research institutes offer their infrastructure in exchange for ready-to-use services. Can you explain the business model behind this? The idea here is to make better use of the resources of universities. However, we do this without restricting, limiting, or imposing anything on them. We just need them to accept the middleware needed to integrate their infrastructure with ours, and a basic acceptable use policy, which is discussed with that community. By doing this, we expect that universities can offer some of their available IT infrastructure, including local operation services, in exchange for a pool of nationwide services, including 'infrastructure as a service' (IaaS), 'software as a service' (SAAS), and 'platform as a service' (PAAS) — all offered and coordinated by RNP cloud services. However, if an institution doesn't have the resources to exchange, it can also buy our cloud services. We are then able to duly share the income with our partners by improving their infrastructures and services. Looking globally, how can European or Latin American universities and research institutes become part of RNP's community model? Before we start looking beyond Brazil we first need to validate and deploy our model. Nevertheless, I don't see any major difficulties in extending this model to international partners, provided they agree with the community rules. One important point in this case could be limitations imposed by international telecommunications infrastructure between Brazil and other countries. This could represent a significant cost depending on the amount of traffic involved in the integration of our clouds. Unfortunately, telecommunications costs are still one of the major barriers in countries like Brazil. This in turn impacts on our ability to increase international collaboration projects. What role do you envisage in the public-private hybrid cloud model for small and medium-sized enterprises (SMEs), start-up companies, and new small cloud service providers? We all know that start-up companies are the oxygen of innovation, in a broad sense. This is especially so in the IT market, where we see new applications appearing every day. The facilities and opportunities offered by cloud services fuel SMEs even further as emerging enterprises, pushing them into a global market responsible for an increasing share of the total income of several nations. Because of this, there are public policies in these countries that seek to provide a suitable environment for start-up companies and SMEs to flourish, helping them grow faster and enter markets. These public policies in Brazil are still in their early stages, but are evolving. I see a great opportunity to extend our community model to include start-up companies, SMEs, and small cloud service providers, thus creating an ecosystem. This ecosystem starts with basic research at universities. Research institutes can foster the development of ideas into applications, products, and services through an innovation chain supported by IT infrastructure and services like the hybrid, community, federated cloud. 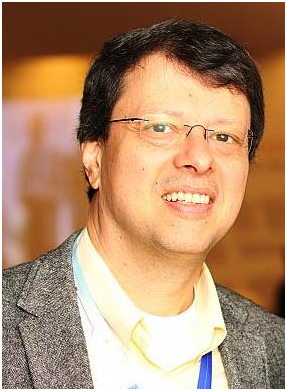 This article is republished with permission from the EU Brazil Cloud Connect website and has been edited. The original version is available here.